Paul Jones (photojournalist and Videographer with the Strategic Marketing and Communications at UOW) is organising Art after Dark in conjunction with UOW art week and Uni Centre. Paul would like show case art works from UOW creative art students. This exhibition will take place at the Uni Bar and surrounding buildings on Wednesday 15 August. The Uni Centre has hired some pretty kick arse projectors for the night. With a total of six projections taking place around and inside the Uni Bar. If you would like to see their art works projected bigger than big, please contact Paul. The internationally acclaimed Ryoji Ikeda returns to Carriageworks with micro | macro. Developed during a residency at CERN, European Organisation for Nuclear Research in Switzerland, micro | macro is an immersive installation which sits at the intersection of art and quantum physics. Ikeda utilises the Planck Scale (which measures the smallest components of the universe – atoms) as a way to contrast our human scale to the microscopic and unobservable. Ikeda tests the limits of what is observable and knowable in our universe in an attempt to understand it, and make it visible to us all. Cinema Reborn’s focus is on screen heritage and preservation. Cinema Reborn presents twelve programs of either recently restored films shown using digital copies or, rarer, film archived-sourced 35mm film prints. All will be presented following best practice in the presentation of archival or screen heritage titles, and will reflect the originally intended experience of their creators. Cinema Reborn is intended to shine a light on the long history of the art of the cinema, the world-wide activity of film restoration and the treasures that exist in the world’s film archives. Cinema Reborn will be offering subscription tickets to the entire program from 20th March 2018 via Eventbrite. Please note also that seating at the AFTRS Theatre is only for 140 people. This exhibition is well worth a visit for all Media Arts students! It closes on Thursday 29 March 2018. 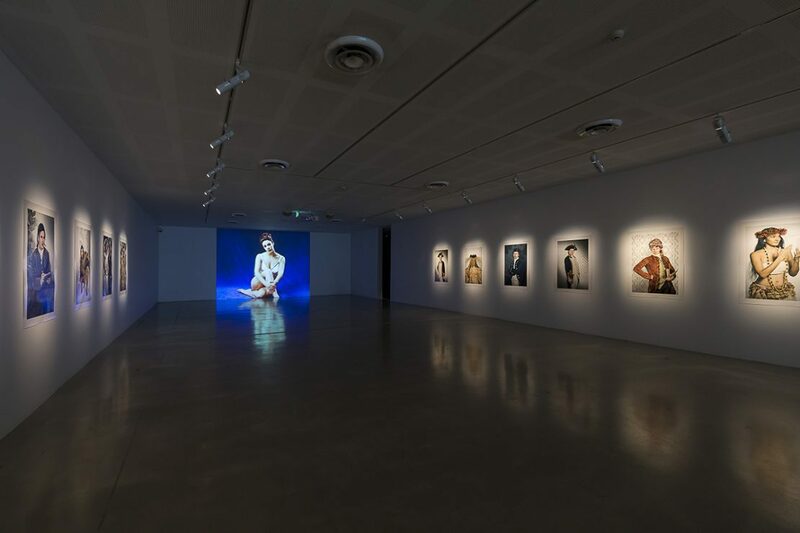 From Wollongong the Campbelltown Art Centre is only a 40 mins drive – drop in on its last days! 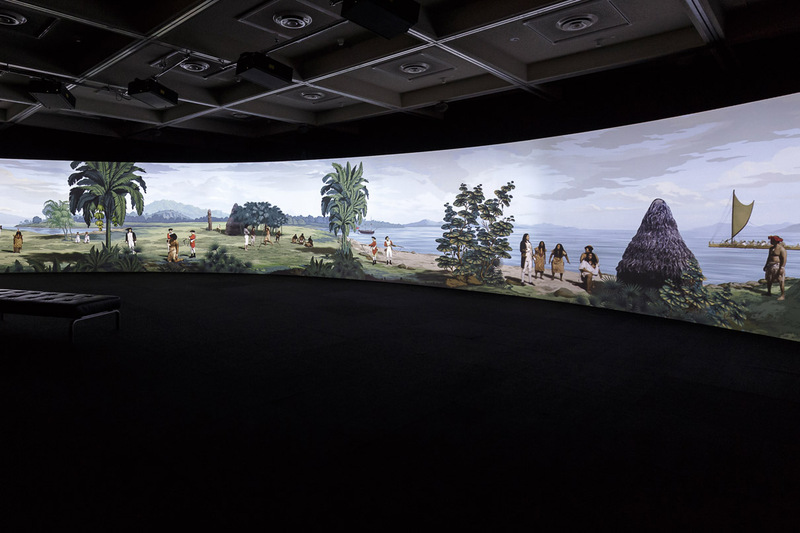 Lisa Reihana is an artist of Māori (Ngā Puhi, Ngāti Hine, Ngāi Tu) and British descent who has helped forge the development of time-based and media art in Aotearoa New Zealand. A multimedia artist, Reihana’s practice is driven by collaborative work with communities, described as kanohi ki te kanohi (face to face). Lisa Reihana Cinemania appears as part of the 2018 Sydney Festival program. Pat Grant is a graphic novel artist based in Wollongong. He may have taught/ given guest lectures to some of you. His project is called The Grot and he is launching the series in Newtown for anyone interested in independent comic arts. Come help me launch these comics. Drink yeasty ferment made by Young Henrys. Have a gossip with some nerds. Stare intently at 130 pages of original comics pages drawn by Pat and hand-painted by Fionn. Marvel at 5 years of an adult life spent in futile toil. FRIDAY MARCH 23 – 6pm, Alpha Gallery, 226 Union Street Newtown, Sydney. A very warm welcome to all new students starting their degree courses at UOW, students continuing with the MEDA stream, as well as students joining our electives for the first time. In Autumn session, BCM 115: Introduction to Screen Media (on separate site), MEDA201: Space, Time, Data, and MEDA301: Media Arts Workshop, are on offer at the Digital Media Centre, Innovation Campus. During this session from 16 March to 11 June, the 21st Biennale of Sydney will be holding a broad range of exhibitions of works across Sydney. Students are encouraged to visit thisinternational event and experience contemporary art, media and worksfirst hand. Subject outlines and assessment details are available from Moodle. Links to lectures, workshop notes, reference materials, and student works for MEDA201 and MEDA301 will be housed here on MEDAdada.net – accessible via the menu on the right.